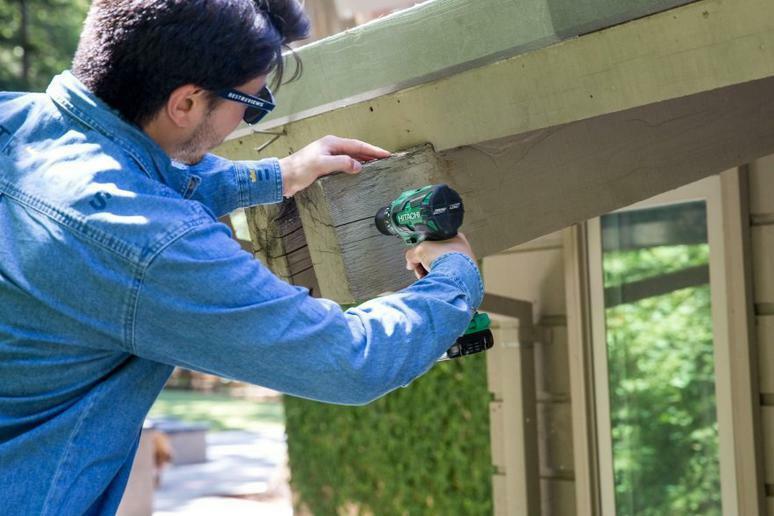 A cordless drill is a must-have for professional contractors and do-it-yourselfers alike. You can use a cordless drill as you put together an Ikea dresser, set up shelves in your home or office, and complete other residential and commercial projects. Plus, a cordless drill runs on rechargeable batteries, so you can avoid the stress of dealing with a pesky cord any time you use it. At BestReviews, we want to help you find the right cordless drill based on your individual needs and budget. To assist you, we've analyzed some of the top cordless drills on the market today and are now here to provide you with cordless drill buying recommendations and tips. Power: Cordless drill power is measured in terms of battery voltage. Low-end cordless drills tend to have a battery voltage around 6V, while high-end models provide up to 18V of power. Handle: What good is a cordless drill if you cannot maintain a firm grip while you use it? A cordless drill with a T-handle is usually an excellent choice, as the handle helps you maintain a balanced, sturdy grip. The T-handle will likely allow you to comfortably use your cordless drill in tight spaces, too. Clutch: A cordless drill's clutch helps stop you from stripping a screw or overdriving a screw after it is already in place. The number of clutch settings varies based on the cordless drill, and some cordless drills offer up to 24 clutch settings. Speed: If you feel the need for speed, you can pick up a cordless drill that operates at 1,000 rpm or higher. Or, if you need a cordless drill for light-duty tasks, a drill that offers speeds between 300 rpm and 800 rpm should suit you perfectly. LED Lights: Certain cordless drills include LED lights that allow you to instantly illuminate a work area. High-Speed Transmission: Thanks to its high-speed transmission, you can use your cordless drill for a variety of drilling and fastening applications. Keyless Chuck: With a keyless chuck, you can tighten and loosen your cordless drill bit by hand. A basic cordless drill usually costs around $50. It is ideal for drilling into wood, metal, or plastic. Also, it is likely compact, lightweight, and designed for homeowners. For those who want to go beyond basic, mid-tier cordless drills are available. These cordless drills are usually priced between $50 and $150 and offer an ergonomic handle, high-performance motor, and multiple clutch settings. High-end cordless drills are priced at $150 or more. These drills are designed to withstand extensive wear and tear and are frequently used by carpenters, plumbers, and other professionals. A cordless drill is sold with a battery charger, and it takes anywhere from 15 minutes to 3 hours to recharge a drill. Additionally, a speedy recharge offers no guarantees, and it sometimes generates excess heat that actually damages a cordless drill battery. If you ultimately choose a cordless drill designed for fast recharging, select one that includes a "smart" charger. Whereas a traditional cordless drill battery charger cannot detect a battery's temperature, a smart one includes temperature sensors to prevent battery damage. Q. Why should I choose a cordless drill over a corded model? A. A cordless drill offers the flexibility to use your drill from any location, at any time. Comparatively, a corded drill requires an electrical source and must be connected to this source at all times. Depending on the distance between a power source and your work area, you may need to purchase an extension cord to use with a corded drill, too. Q. How can I differentiate a light-duty cordless drill from a heavy-duty one? A. You can usually distinguish light- and heavy-duty cordless drills based on the chuck. A light-duty cordless drill typically has a 1/4-in. chuck that accepts bits with a hex-shaped shaft. On the other hand, a heavy-duty cordless drill often features a 1/2-in. chuck - the largest chuck available on cordless drills. Cordless drills are also available with a 3/8-in. chuck; these drills can handle a broad range of bits. Our take: This professional-grade cordless drill is lightweight, easy to use, and performs consistently for long periods of time. What we like: Delivers up to 1,800 rpm of power and 620 in/lbs of turning torque. Features 22 torque settings, so you can use the drill for various residential and commercial projects. Includes a convenient metal belt hook. What we dislike: Chuck sometimes fails to grip tiny bits. Best bang for your buck: DeWALT 20V MAX Lithium-Ion 1/2"
Our take: This economical cordless drill is a wonderful option for both light- and heavy-duty applications. What we like: Weighs only 3.6 lbs. Capable of delivering up to 1,500 rpm of power. Sold with a durable contractor bag. What we dislike: Battery tends to wear down quickly, even after limited use. Choice 3: Makita 18V Compact Lithium-Ion 1/2"
Our take: This cordless drill guarantees you can avoid sacrificing power for durability. What we like: Integrated LED lights help you use the drill in low-light areas. Includes a two-speed transmission for heavy-duty driving and high-speed drilling. Lithium-ion battery delivers up to 1,440 watts of energy. What we dislike: Lacks the torque of comparable cordless drills. Daniel Kobialka is a writer for BestReviews. BestReviews is a product review company with a singular mission: to help simplify your purchasing decisions and save you time and money. BestReviews never accepts free products from manufacturers and purchases every product it reviews with its own funds.